Maximino Gutierrez owns and operates Las Florestales, a beautiful farm situated deep in the mountains of Herrera, Tolima. This is a rather small farm, producing only about 1500 pounds total per year, but a model for how a coffee farm should operate. Maximino cultivates 100% Yellow Caturra on his land, and has been investing in upgrading his equipment year after year. Everything from depulpers to drying beds have been replaced and revamped over the last few years. This constant drive to work with his coffee with more respect and care makes his coffee one of the most special in the world. Florestales is named after Maximino’s large collection of exotic and very colorful flowers that adorn his front porch. A visit to Las Florestales is rich with beautiful smells, friendship, and always a nice cup of the farm’s coffee made off of Maximino’s personal Aeropress. Las Florestales is one of Sightglass’s favorite coffee’s, and we are excited to share Maximino’s coffee with you. 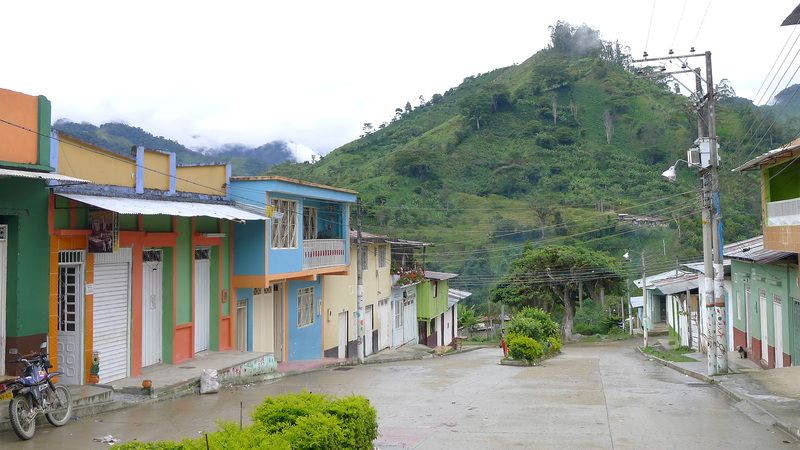 Since our first visit in 2011, Colombia remains one of our favorite countries to visit and source coffee from. We’ve cultivated some of our dearest producer relationships here, and are consistently blown away by the tremendous quality of coffees and people we’ve encountered in this ruggedly gorgeous country. Maximino Gutierrez was one of the first producers we were fortunate enough to work with, and has remained one of our most cherished producers and friends. 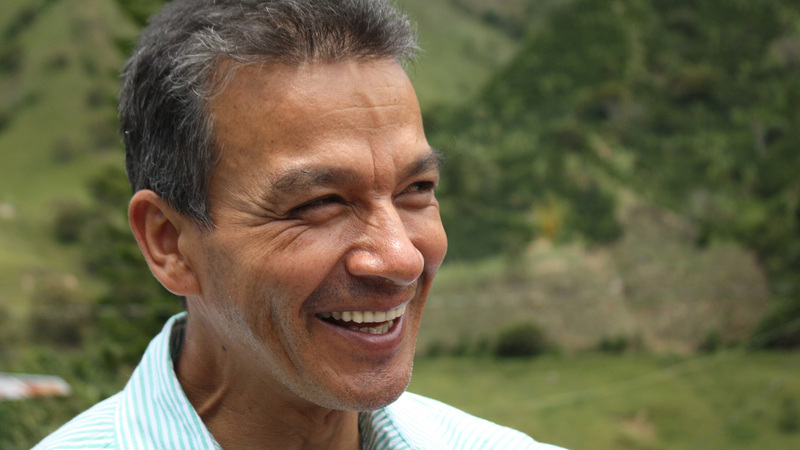 He produces some of the most exceptional Colombian coffees we’ve tasted on his small, but immaculate Finca Las Florestales, a multi-generational family farm owned and operated by Maximino alongside his brothers and sons. Together, they grow 100% Caturra variety on their adjacent farms, at altitudes ranging from 1600-1800 masl in the Herrera region of Tolima. The trek to his farm (and export of coffees from it) is no small undertaking as it’s tucked away deep in the mountains of Herrera. We remember first stepping foot on his farm - the sky was the most piercing shade of blue, birds were chirping, all was peaceful. The landscape here lush and rugged, punctuated by heavily forested mountains and vibrant, sweet-smelling flowers - the farm’s namesake. Like most of Colombia's small production farmers, Maximino wet-processes his coffees, using a cherry depulper to remove the fruit from the seed, and then fermenting the coffee overnight. 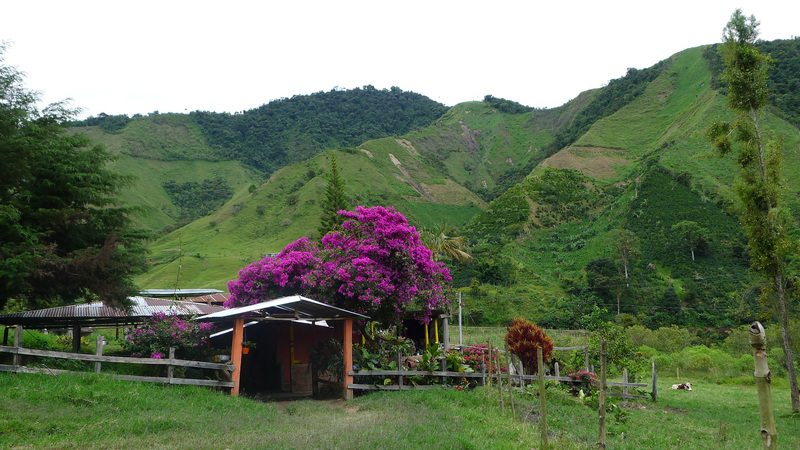 When we first met Maximino, coffees were spread out to dry on the top of his house. Coffees are now dried on impressive drying beds adjacent to his home – just one example of the great care and investment Maximino has employed in enhancing his equipment and production methods. Each trip to visit Finca Florestales, Maximino and his family is a reaffirming experience. We couldn’t feel more fortunate to do the work that we love with the beautiful people across the world we share it with.